Since the intoxication of opium was first discovered thousands of years ago, humans have consumed opiates to treat pain and to get high. Too often across history, people who have legitimately needed pain relief have ended up addicted to opium-based drugs. The Centers for Disease Control and Prevention (CDC) notes that, in the current opioid abuse epidemic, many people can trace their struggle with addiction back to a prescription for a narcotic painkiller, given to them after a dental surgery, back injury, or other instance of serious pain. Now, thousands of these people cannot get prescription opioids and have turned to heroin. At the same time, the rise of many kinds of synthetic opiates made in clandestine labs has led to overdose deaths around the world. There are many kinds of opioids and opiates in the world. Most of the leading addictive substances are prescription painkillers, and some opiates have been taken off the market because they are so dangerous. The 10 most addictive opiates are outlined below. OxyContin: This extended-release brand name of oxycodone was produced to help people with chronic pain who needed relief for 12-24 hours. 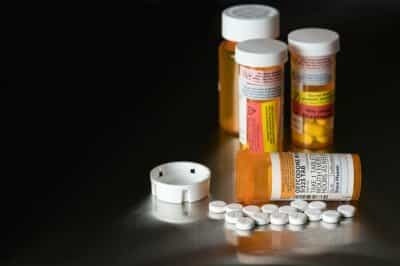 Purdue Pharma, which manufactured the medicine, focused advertising on the exceptional pain relief aspects of this opioid, but prescribing the drug more widely to treat many kinds of pain – along with prescribing other, less potent analgesics – contributed to the current opioid abuse epidemic. The drug is often crushed and snorted to bypass the extended-release formula, which often leads to opioid overdoses. Opana: Another extended-release opioid designed to treat chronic pain, the Food and Drug Administration (FDA) removed Opana from the market recently due to substantial risk of addiction and abuse. People who took this potent medication to treat moderate to severe pain often became addicted and began injecting the drug like heroin rather than consuming it orally. Demerol: The brand name for a drug called meperidine, this analgesic comes in tablet, syrup, and even injectable form. As an opioid prescription drug, it is chemically like morphine, meaning it is also very addictive and prone to abuse. Percocet: A combination of acetaminophen and oxycodone, this brand name medication was designed to temporarily treat moderate to severe pain for up to six hours, for no longer than a few months. The intention of a short-term opioid medication like Percocet is to help people after a surgery or severe injury focus on recovery, including physical therapy. Instead, many people exposed to Percocet and similar opioids develop addictions to these potent narcotics and then move on to stronger and more dangerous opioid substances. Vicodin: A combination of hydrocodone and acetaminophen, somewhat like Percocet, Vicodin is another brand name analgesic designed to treat moderate to severe pain, typically for 4-6 hours, for no more than a few months. Also like Percocet, Vicodin has caused millions of people to struggle with opioid addiction and move on to harder substances. Methadone: One of the longest-acting opioid agonists available, this drug was used in the US for decades to help people struggling with heroin addiction slowly overcome their struggles with the fast-acting narcotic, get treatment for their addiction, and lead normal lives. Many people who used methadone spent years on the substance, attending methadone clinics to receive their dose. The drug is sometimes prescribed to treat chronic pain in the same way that long-acting opioids like fentanyl or OxyContin are used, but the substance is also one of the most abused drugs, contributing to many overdoses. Morphine: The first opioid drug, synthesized from opium, morphine comes in several brand names and is still prescribed to treat pain in the United States and much of the world. However, concerns about the addictive nature of morphine, especially after the Civil War, led to the development or heroin and other opioid analgesics, which have also proven to have serious addiction potential. All opioids, whether illicit or prescription, are based on morphine. Fentanyl: This powerful narcotic painkiller was designed for long-term treatment of chronic pain, but has since been created in clandestine laboratories and sold mixed with heroin or in place of heroin, contributing to a plague of overdose deaths across the United States. Fentanyl is between 50 and 100 times more potent than morphine and, on average, about 80 times more potent than heroin. It is extremely dangerous, but people who struggle with opioid addiction are accidentally taking this substance instead of heroin or another opioid. Dilaudid: The most famous brand name for hydromorphone, this medication can be found as a tablet or liquid. Like other opioid prescriptions, Dilaudid is a Schedule II substance because of its large potential for addiction. This potent analgesic was developed to treat severe, often chronic, pain that could not be treated by other opioids. Like other potent analgesics, this substance has been diverted to the illicit market and abused by many people struggling with opioid addiction. Heroin: One of the very few opioid drugs to be classified as Schedule I by the Drug Enforcement Administration (DEA), heroin was originally developed from morphine to be a better, less addictive pain medication. Instead, this synthetic narcotic proved to be worse, leading to addiction and overdose deaths in the 19th and early 20th century. Heroin rapidly binds to opioid receptors in the brain, creating a fast, powerful, and short-lived high. People who struggle with heroin addiction are likely to take several doses over the course of a day because the initial effects wear off so quickly.